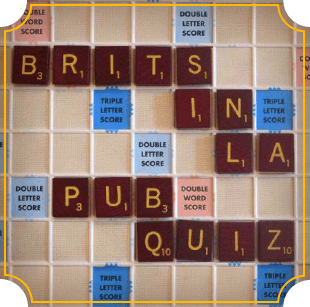 Join our weekly Pub Quiz Trivia with Co Hosts Brits in LA and Quizmaster Sandro Monetti. Arrive before 8pm to get settled. If you need a team to join we will find you one! No need to be clever just have fun. Free to play but we do ask that you make a $8 minimum purchase from the bar menu. First prize is $75 cash and there are lots of other prizes to be had including a round of drinks and a $40 gift voucher to spend at The Cat & Fiddle. The Cat's monthly acoustic music night is the last Friday of every month. Enjoy acoustic bands under the stars on our lovely patio. You never know who may stop by to play a tune! The Cat serves British homemade favorites such as Fish & Chips, Bangers & Mash and savoury pies, along with American favorites such as freshly ground burgers and mac & cheese. Join us for our delicious Sunday Roast! Prime Rib, Organic Chicken or Veggie option available. We also have carefully selected draft beers, as well as wines & liquors. We recently added our own "Cat's Cider," a delicious & refreshing dry English-style cider. Join us for our special Holiday Happy Hour Monday - Friday, 4pm to 7pm. $5 for draft beers, house wines, well drinks, and $7 Moscow Mules, Old Fashioneds and Pimm's Cups to accompany the discounted appetizer menu. Our new location boasts a large hand crafted pub bar with community tables and booths. We also have an intimate lush garden patio that is perfect for your gathering. Contact us today for our events package. Share all the enjoyment of the Cat & Fiddle with others. Get gift cards for all occasions. Come in today! Or give us a call and we will send you one. The Cat & Fiddle first opened in Laurel Canyon in 1982 by the ever-entertaining Londoner, Kim Gardner, and his wife, Paula, from New Orleans. Kim was a bassist and integral part of the British Rock invasion of the 1960s and 70s. He recorded over 27 albums and played in bands such as Quiet Melon (with Rod Stewart), Ashton, Gardner & Dyke, The Creation and The Birds (with Ron Wood). The music industry eventually brought Kim to Hollywood, CA and he decided to open a British pub in the neighborhood because there's wasn't one. His dad always said, "That boy would do anything for a pint!" The Pub served as Kim's personal playground and became the favorite watering hole for the entertainment community from both near and far. Paula's roots are in fashion and she owned a successful shoe store named "Lily Bleu" on Santa Monica Boulevard. After the Cat & Fiddle launched with overwhelming instant success, Paula closed her store to help at the pub. By 1985, The Cat had outgrown the small nook in the Canyon and moved to a larger location on Sunset Boulevard. For a magical 32 years, The Pub poured many pints, served delicious homemade food and created lasting memories before local development forced the doors to shut. Over the next 2 years, we searched LA looking for the perfect place to write the next chapter of The Cat & Fiddle. In early 2017, we announced our new location opening on Highland and Melrose Avenue. It is a more intimate setting complete with a lovely garden patio. Previously home to the famous Highland Grounds, a popular music café, it feels just right and is surrounded by, coincidentally, many of our long-time patrons who work and reside in the neighbourhood. The Cat & Fiddle is very much family run. Sadly, in 2001, Kim passed away but Paula and their three daughters, Eva, Ashlee and Camille, have carried on the torch. They continue to work alongside their mum, keeping the Cat & Fiddle legacy alive. Eva, a bassist that has followed her father's footsteps, has her own signature bass with Fender and has played for artists such as P!nk, Cher, Gwen Stefani, Tegan & Sara and Moby. Ashlee, a graduate of USC's Marshall School of Business and author of "Entrepreneur Magazine's Great Book of Business Lists," has helped to run the Cat & Fiddle full-time since 2005. She also runs a music management company, Paulie Music, with her husband, producer/ writer, Justin Raisen. And, after several years working for successful hospitality groups, like Patina Restaurant Group and David Burke Group in New York, Camille is excited to return to LA to help her family at The Pub. Together they run the Cat & Fiddle and keep the community's spirit very much alive. The Cat & Fiddle serves British staples such as Fish & Chips, Bangers & Mash and Homemade Savoury Pies, as well as delicious Burgers and Salads. We offer a versatile selection of craft, imported and domestic beers, wines and fresh signature cocktails with ingredients often from the Gardners' garden. We are so excited to celebrate our 35th year, and are looking forward to continuing the Cat & Fiddle legacy. Many thanks to the community for your continued support. Cheers! Thank you for your interest in The Cat. We always enjoy talking with current and potential customers. If you have any questions please contact us at (323) 468-3800 or fill out the form and we’ll respond as soon as we can. To ensure that the newsletter also reaches you and does not end up in the spam filter, please enter the sender address catandfiddlerestaurant@gmail.com in your e-mail program’s address book.